Solar Landscaping Lights Are Easy! Solar landscaping lights are an option if you don't want to be bothered with wiring. They are fairly inexpensive (depending on the quality) and easy to install. Outdoor solar lights have many advantages and are definitely worth considering. They are good for the environment since the only energy used is from the sun. They need no wiring or electricity. Therefore, they virtually cost nothing to operate! The lack of wiring in itself will save you money by not having to hire someone to do the installation. Even if you are a DIY, you won't have to purchase wiring, transformers or any other expenses associated with either 120V electricity or low voltage. Solar landscape lights can be moved around so easily. The energy gets stored in a very efficient battery that serves to light the fixture during the night. Most use a LED bulb, which casts a soft light. That's basically it. Well…not exactly. There are a couple of disadvantages. First of all, a solar landscape light will only work if located in a sunny area. That means they cannot be used in shady areas of your landscape. For example, if your front walk is in the shade, they will not work there. In addition, they are dependent on the weather. If it is a cloudy day, no energy can be absorbed from the sun. Therefore, they will not work until the sun appears for an extended period of time. There are basically three types of solar panels. This is made from a large, single crystal. It is the most efficient and is said to work better in low light conditions. It is also the most expensive. This type of solar panel used in a garden solar light is probably the most common. It has numerous small crystals. It is somewhat less efficient than the monocrystalline. With this type of panel, a thin film of silicon is spread right onto a plate. This one is the least efficient and also the least costly. Although the monocrystalline is the best, it is really only slightly more efficient. A garden solar light in actuality does not give off the amount of light as low voltage lighting. However, I would still try to go for the best that solar technology has to offer. 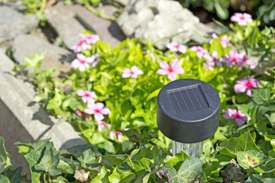 The garden solar light can be used in many ways. You can use them for yourdriveway lighting. They can also be easily used for walkways. Consider them for lighting up your patio, deck or for pool landscape lighting. Solar landscaping lights come in path lights, spotlights, accent lights, wall lights, post lights, and floodlights. They are even available as lit up house numbers. 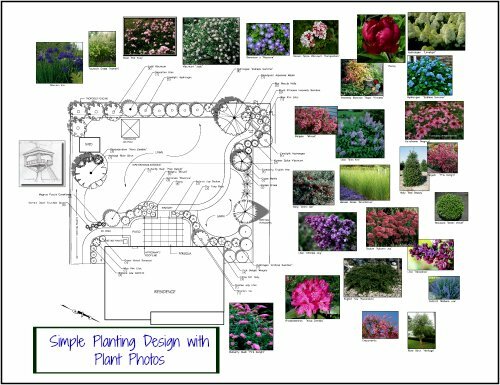 Just place solar landscaping lights in the ground and you are ready to go. In addition, a solar landscape light needs little maintenance. The battery should last for approximately 1000 nights of light. The LED bulb should be ok for about twenty-five years. Once again, no wiring is needed. Outdoor solar lights are such an easy solution to lighting and relatively inexpensive compared to low voltage lighting. They might be the simple way to go to achieve both night time safety and a beautiful ambiance.